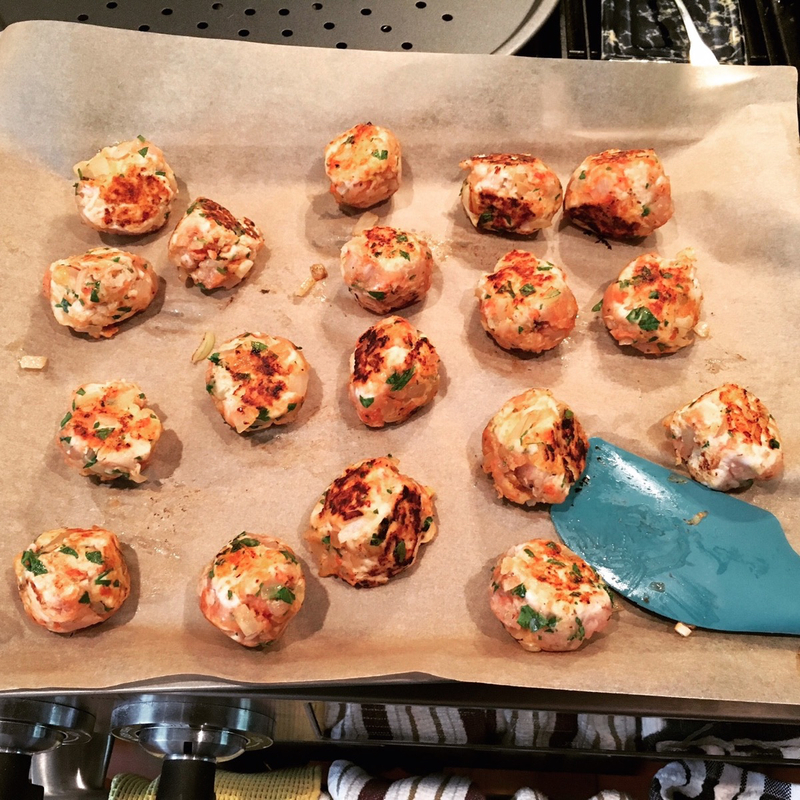 I was so lucky that I had been able to make some turkey meatballs over the weekend and stuck them in the freezer. I knew I needed to have healthy dinners lined up for the week so I did not resort to mindless snacking or unhealthy fast food dinners when I was starving. Meatballs saved the day! 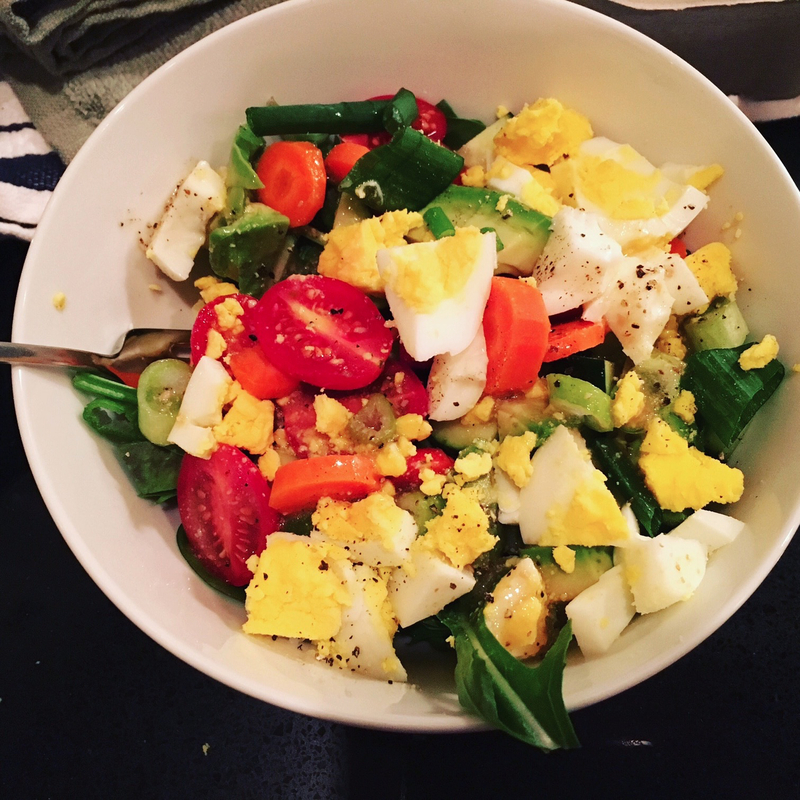 Thankfully I also had some quick, healthy eats – hard boiled eggs and vegetables make a great salad when you are in a pinch! On Wednesday I was spoiled because SC had used the crockpot to start one of our favorite recipes – Skinnytaste’s Crockpot Santa Fe Chicken. We had this for dinner Wednesday, Thursday and Friday! We had the chicken with brown rice, scallions, salsa and a couple of blue corn chips and it was fantastic every night! This is such an easy and delicious go to meal – we highly recommend it, especially when you are short on time. I really missed running this week – but I felt good knowing that at least I was getting a lot of steps in and while I couldn’t run this week at least I ate as healthy as I could! I’m hoping to get back on track and into my running routine next week. Thanks Heather. Chicken looks good!